CHI 2014 – Here we GO! So you either love CHI or you hate CHI! It’s like Marmite (for those who know what that is). 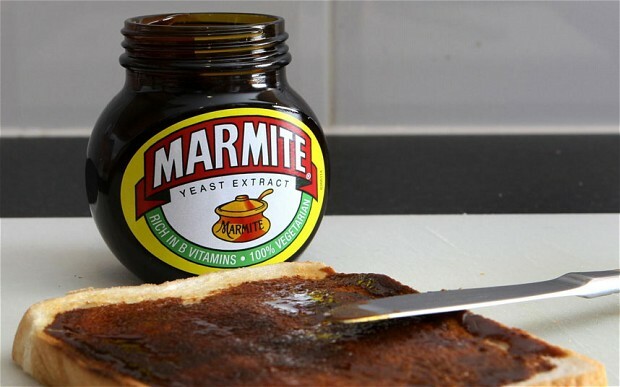 Now I Love Marmite, but hate CHI – although I expect I shouldn’t say so, as I’ve two papers in this year and the Lab has three! In reality I don’t hate CHI per-say – and I’ll put papers there everyday of the week if they get accepted (impact is impact, right) but the event just ‘grates’ on me! So why don’t I like CHI? Well for a three main reasons! It’s big, very very big, in fact so big that finding, communicating, and networking with people at CHI is just a nightmare – I’m more of a sub 500 people conference person myself – community or big community sized conferences – but 3,000-4,000 people – ohhhh momma! The badge hierarchy annoys the hell out of me. I’m hoping that this started off as a good thing, in which presenters, committee members, and the like get and display badges so that attendees can more easily approach them! Oh but now it also seems like they are there just to show the attendees that they are special, more important than, upstanding members of the CHI-Community – and that we attendees aren’t (or maybe this is just my paranoia)! There is no food, eating is not provided wrt lunch and dinners (and I’m a fat bloke!) and so the time you should be spending talking and networking with colleagues, you’re spending in interminably long queues waiting to get lunch (often not in your native language so add extra time for that). And for the final indignation, you spot the well planned people eating lunch brought at breakfast – as they know the nightmare which is CHI-Lunch! Finally, my bonus reason – is just because if the whole known HCI universe are desperate to attend CHI, to review for CHI, and to put papers at CHI – something inside me says ‘NO‘; that’s not a conference I want to attend! So good luck to my CHI attending lab colleagues, well done on all the hard work, enjoy the CHI-Glory for it is hard fought and hard won! April 29, 2014 in Blog.